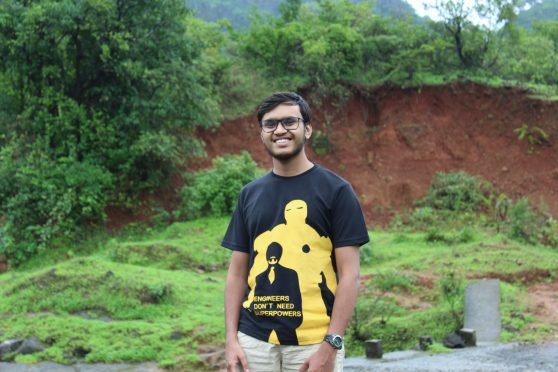 About the Author: Aniket Ajay Lad is pursuing B.Tech in Mechanical Engineering from Birla Institute of Technology and Science, Pilani. He interned at Aquasolis Global as a mechanical design intern and shares insights on his experience of designing a component. During the sixth semester of engineering, it had become clear to me that it was important to gain an industry exposure before facing a rigorous competition for campus placements. So, I started looking for a summer internship. Being a student of mechanical engineering interested in the field of renewable energy, finding a suitable internship was not an easy task. I went through several companies’ profiles looking for any internship opportunity, but I could not find any success there. In the month of April 2017, while scrolling through the internships listed on Internshala, I saw a post by Aquasolis Global. It is a Norwegian high technology startup, specializing in RO-based water recovery and desalination. They were looking for interns to work on solar and thermal energy based saline water purification project. This work profile was everything I was looking for. It was going to add onto my experience in the field of renewable energy and provide me an opportunity to work on some real life problems, thus I decided to apply without any more thought. The application procedure was fairly simple. Internshala had already prepared a resume for me based on the information I had provided while registering, so I just had to apply through their website. After going through the company profile and expectations from the interns given in the post, I proceeded with the application answering why I wanted the internship and what made me a suitable candidate. My response to these questions included mentions of my academic background and projects I had worked on, which were relevant to the field. I was selected as a mechanical engineering design intern along with thirty other interns. This was a work from home internship. We were provided with some reading material, which would come handy for our work. The project could be broadly titled as Research and development of multi effect distillation system. I had a discussion with the CTO, Mr. Nitesh Shail, about the internship, his vision for the project – to make potable water available to everyone, and the goals he had set to achieve the vision. The internship work was technically challenging and interesting. I studied the provided material and communicated with my fellow interns. After a week, we divided the work amongst ourselves and selected a component (a type of heat exchanger) of the complete system – its thermal and mechanical design. I proceeded with my calculations as per Indian standards of design and shared them with the others to coordinate about the design parameters. After this, I went ahead with the CAD design of the component. The final design was also shared with the whole team for review and analysis. The internship was very motivating. The work that I did was stimulating and addressed a primary need, potable water. The authorities gave me a say in every step of the project, from the selection of a modeling software to the selection of the material of design. I was included in key discussions pertaining to product development. It was a valuable learning opportunity which helped me improve not only as a mechanical engineer but also as a team player. At the end of the internship, I was awarded a certificate and a letter of recommendation. I am extremely grateful to ‘Internshala’ and ‘Aquasolis Global’ for this opportunity, and I look forward to availing many others in future. Are you also interested to work in a core mechanical field? Check out the latest mechanical internships. Very nice articulated. Good work Aniket. All the best for future. All the best for Bright future. Thanks a lot for sharing your experiences. wish you a bright future ahead.